Michael C. Jones, 71, died February 8, 2018 at Edwards County Hospital, Kinsley. Mike was born February 5, 1947 at Emporia, Kansas, the son of Gilbert and Regina (Mishmash) Jones. He was the younger of two boys, growing up in Osage City, Kansas. Mike was a 1965 graduate of Osage City High School and a basketball standout on the state championship team, receiving later the Hall of Fame Award from the Kansas Basketball Coaches Association. During 1966 and 1967, Mike attended Hutchinson Community College on a basketball scholarship. The basketball team was coached by Gene Keady of Purdue University fame. Mike was an All American while at HCC, exemplifying his strong work ethic. He joined the Marine Corps Reserves in 1968, delaying his education until the following year. He continued his basketball career at Pittsburg State during 1969 and 1970. He was a member of the Top 100 Athletes at Pittsburg State, and he was nominated and chosen by his PSU teammates as “Mr. Basketball” for both years he played. Mike, along with his brother Don, served as a graduate assistant coach at PSU in 1971 and 1972. Upon graduation, Mike became the head coach at St. Mary of the Plains College in Dodge City. Afterwards, he sold World Book Encyclopedias prior to his move to High Plains Journal in 1978. He was with HPJ until his retirement. 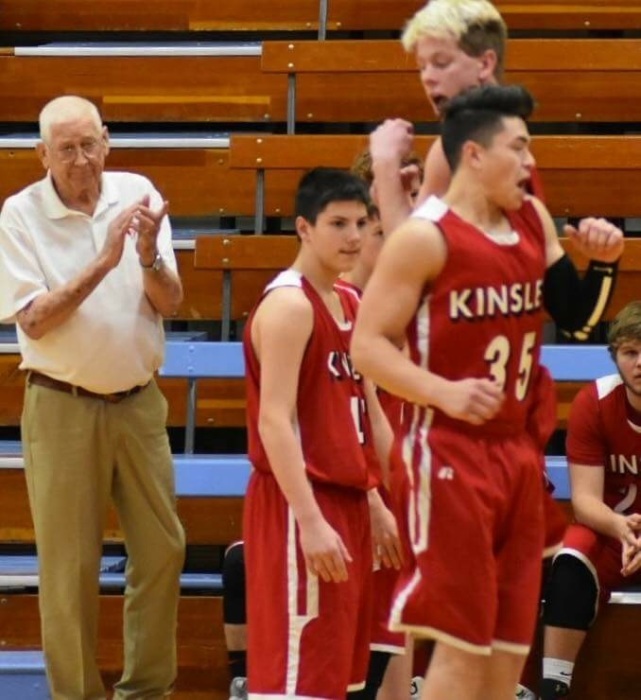 In 2015, his love of basketball led him to the head coaching position for the Kinsley Junior High School basketball team. In 2016, Mike became the assistant high school boys coach, and in 2017 the head coach of the school’s varsity team. 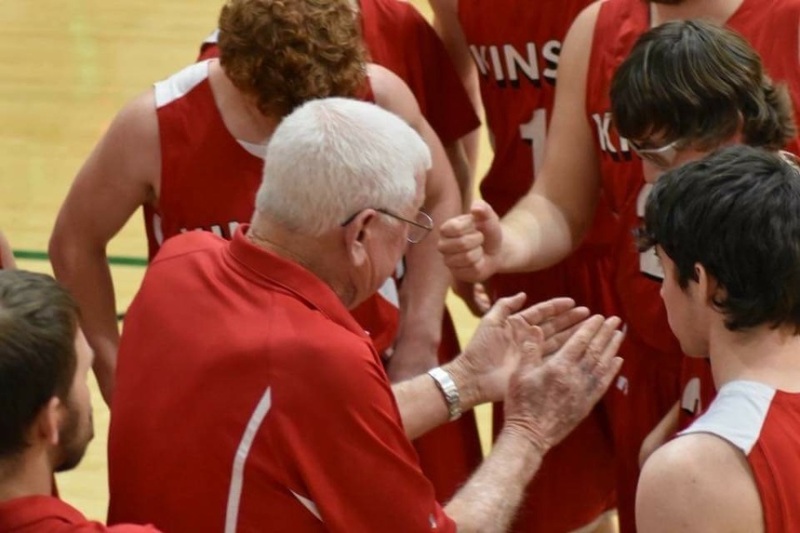 Although Mike enjoyed teaching his players the fundamentals of basketball, he felt it most important to teach his young players about life, about always doing the right thing, working hard and showing respect for authority. Mike coached hard, but loved and respected every player as a young man with potential. A member of the Rotary Club, Mike was an avid golfer and when he wasn’t working, he could be found playing par golf with his golf buddies. He was an active member of the Edwards County Golf Course and became one of its most successful fundraisers. No one could say “No” to Mike. His business life mirrored his private life. During his 30+ years at HPJ, Mike was a successful sales representative. His clients and fellow workers, his “family”, not only respected his sales acumen, but also admired him for his personal quality and achievements. Many who knew him valued his friendship. Mike was preceded in death by his parents, his stepmother Ethyl Yates Jones, and Don, his brother. Visitation will be held Wednesday, February 14, 2018 from 9:00 a.m. to 5:00 p.m. at the McKillip Funeral Home in Kinsley. A graveside service will be held at 11:00 a.m. Thursday, February 15, 2018 at Hillside Cemetery, Kinsley, with Dr. John Wolf presiding. 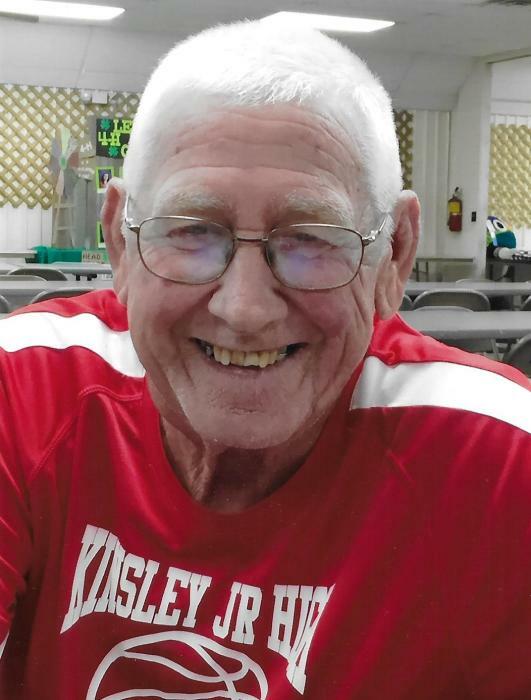 A special memorial service will be held at the Kinsley High School Dome Gymnasium at 2:00 p.m. The public is invited. Memorials are suggested to the Edwards County Golf Course or the USD 347 Athletic Fund in care of the funeral home. Thoughts and memories may be shared in the online guest book at www.mckillipfuneralhome.com.